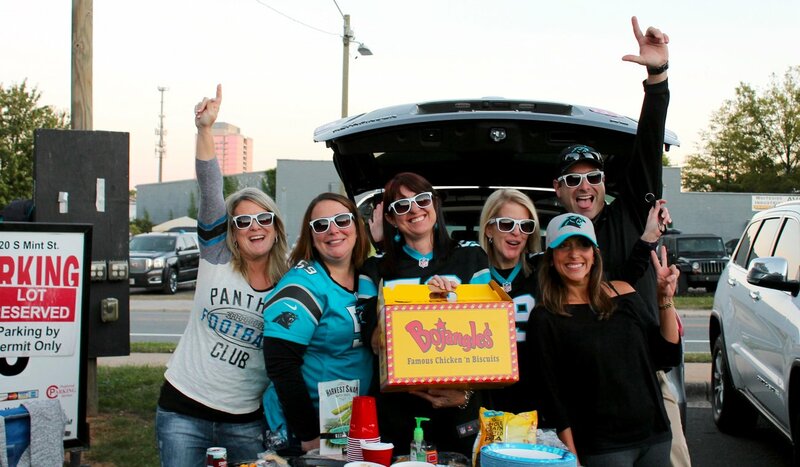 Tailgating season is finally here, Charlotte. 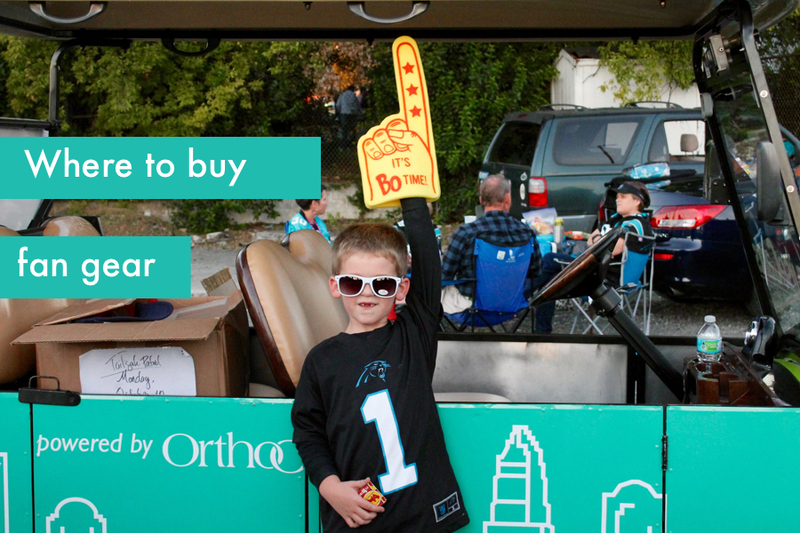 It’s time to throw on your jersey, load up the cooler and head to Bank of America Stadium. But before you gather your crew, there are a few things you’ll need to help you tackle the season like a pro. From finding the perfect parking spot to picking out the coolest fan gear, we’ve got you covered. You can’t bring shame to the Carolina Panthers by showing up to the game without the proper tailgate attire. No matter your style, here’s where you can snag the coolest gear. If you want your favorite player’s jersey…. What to get: A jersey for you and a matching one for your dog because you’re extra. Pro tip: If they don’t have your size, order online and you can pick it up at the store with their self-service locker pickup. Pro tip: Sign up for their email list and get 10% off your order. 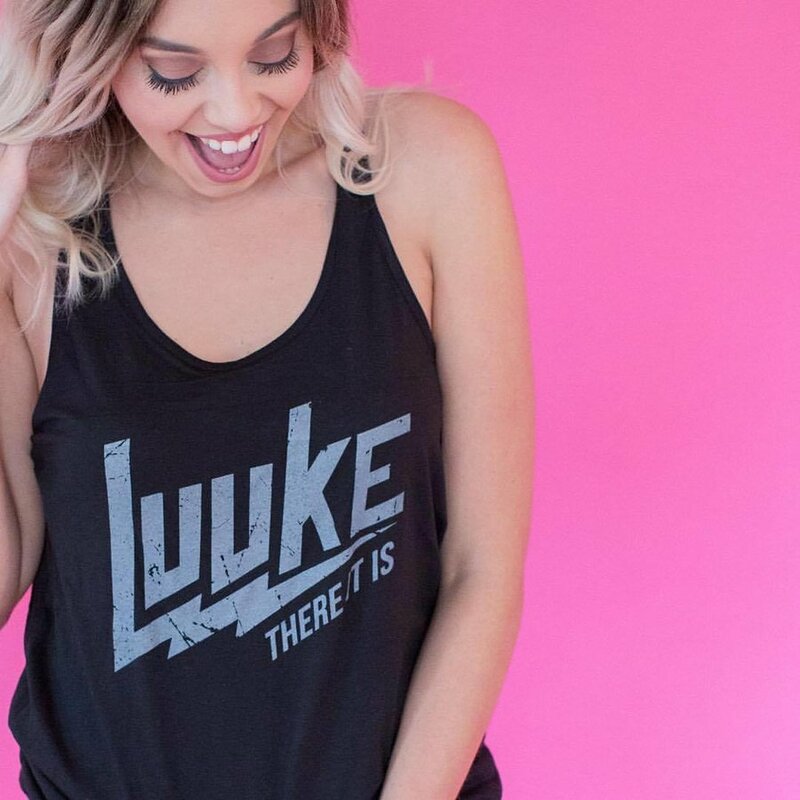 Photo via Girl Tribe Co.
Order some Luke-inspired fangirl gear from Girl Tribe Co.
What to get: The “Luuke There It Is” black racerback tee or the “Luke I’m Your Future Wife” tee. We won’t judge you. Pro tip: While you’re ordering, snag a Policy Handbag too. They are super stylish and stadium approved. We’re a big fan of this gold Girl Tribe branded roundie bag. What to get: The DAB ON ‘EM shirt. Duh. Pro tip: Be aware of your surroundings and dab responsibly. You’ve got your tickets and you’re pumped for the game. Now, you’ve got to figure out where you’re tailgating. Here’s a round-up of some available parking options around Bank of America stadium. *Cost and availability will vary by game. 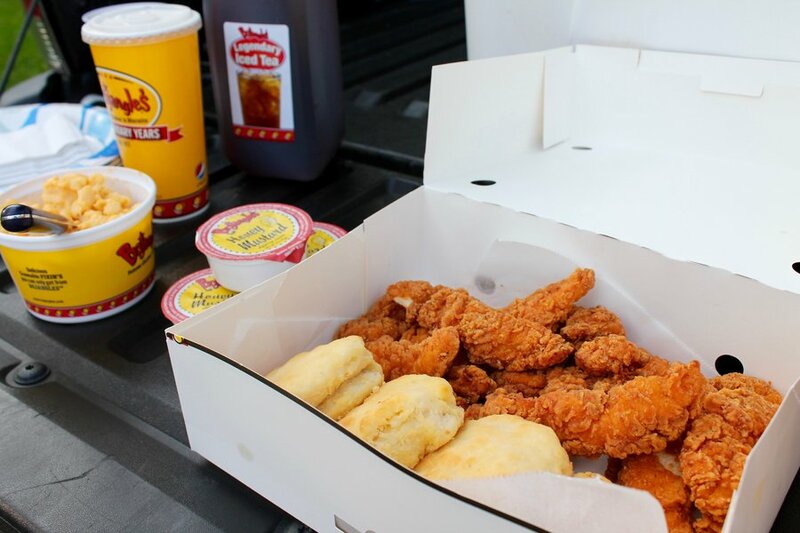 There’s one thing every tailgate needs and that’s Bojangles’. The tea. 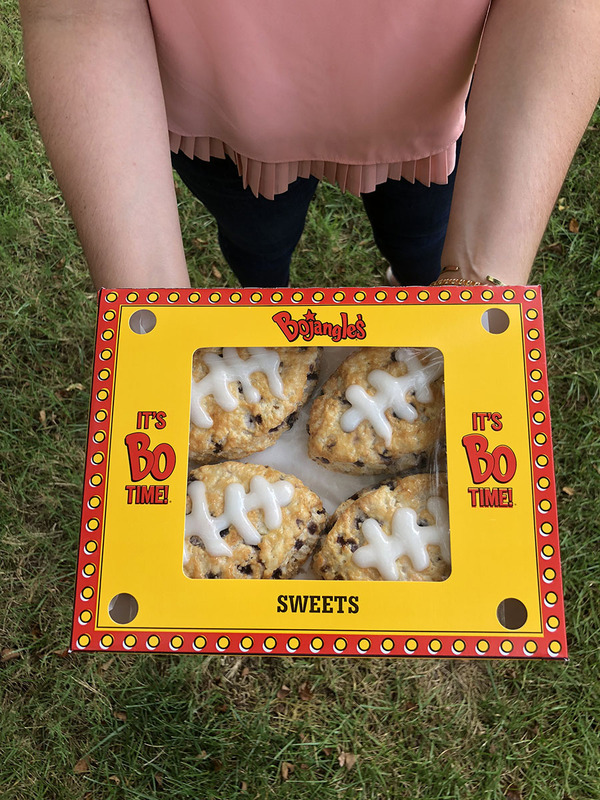 The biscuits. The sides. The chicken. 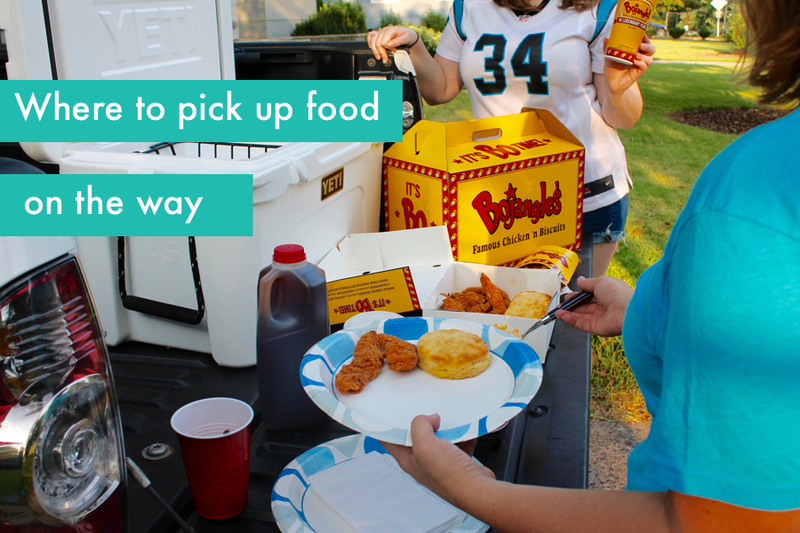 We rounded up our favorite Bojangles’ orders for tailgating, plus, where you can pick them up on your way to the game. 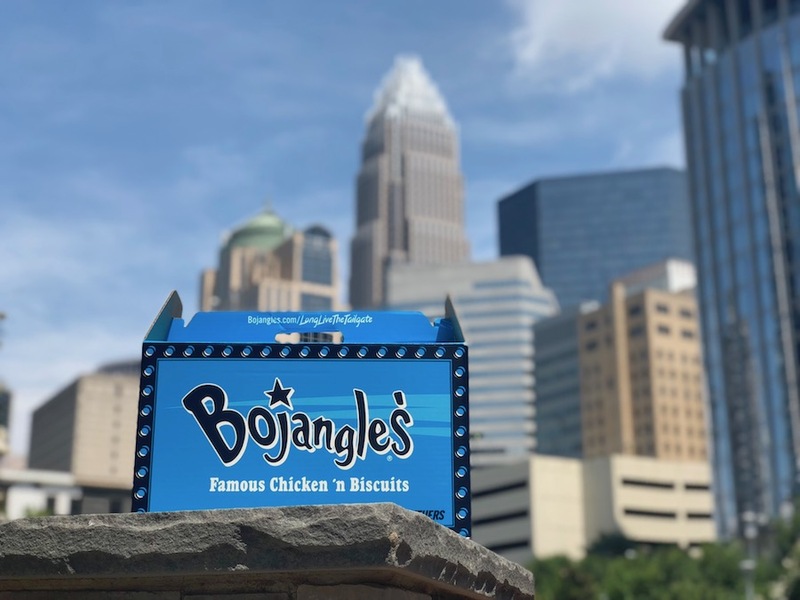 We’re all about convenience (and delicious chicken). Don’t forget all your favorite sauces and add-on some Bo-Berry Biscuits® for dessert. Now it’s a tailgate. Not planning on driving to the game? No problem. There are plenty of other ways for you to get there. 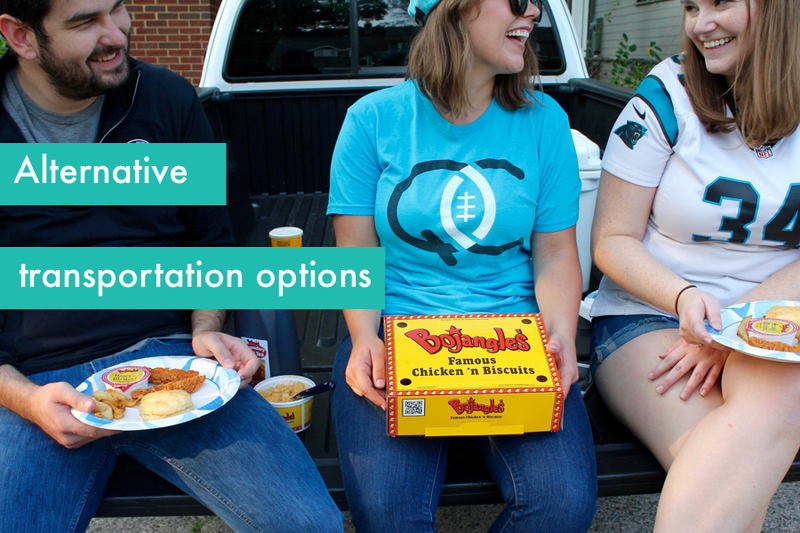 Here are some alternate transportation options, along with a couple places you can tailgate if you don’t have your own spot. Apps like Lyft were meant for times like this. Depending on where you’re coming from, rides are often pretty inexpensive. Plus, it’s super easy to request a car right when you need it. Carpool with a bunch of friends and you can split the cost of the ride right from the app. The light rail has seven park and ride lots along South Boulevard, making it an ideal option for getting to and from games. Round-trip tickets for adults are only $4.40. Carson and Stonewall stations will get you closest to the stadium. Plan your route here. If you live outside of Charlotte in cities like Hunterville, Mooresville or Kannapolis. You can take a Rally Bus to the game. Tickets are about $50-$60 bucks and the buses are freaking nice. They’ve got restrooms, free Wi-Fi and you can even BYOB. 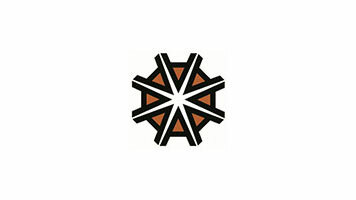 See what games available and book a seat here. 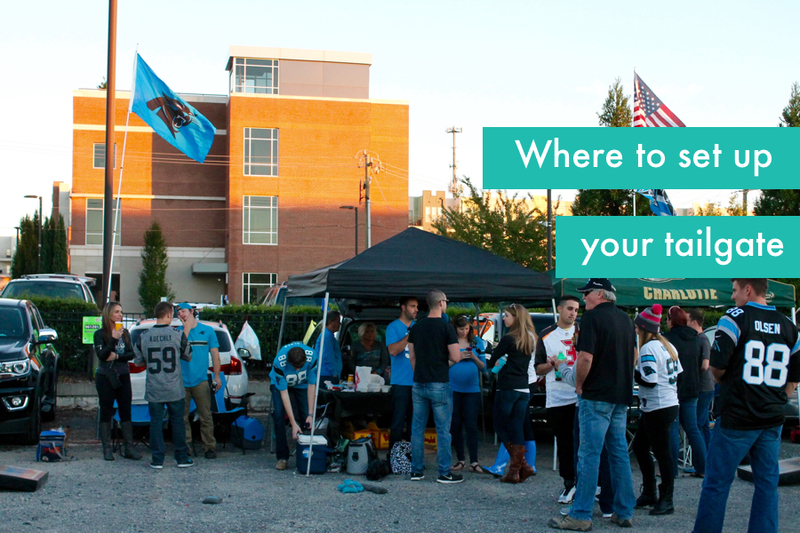 Why: You’ll be surrounded by hundreds of die-hard Panthers fans. There’s free food and soft drinks. Alcoholic beverages can also be purchased. Money raised in donations will go to the Cam Newton Foundation. Why: They’ve got beer, food trucks and big screen TVs, in case you don’t have tickets to the game. It’s a big party and we are here for it. Go out there and make the Panthers proud, Charlotte. 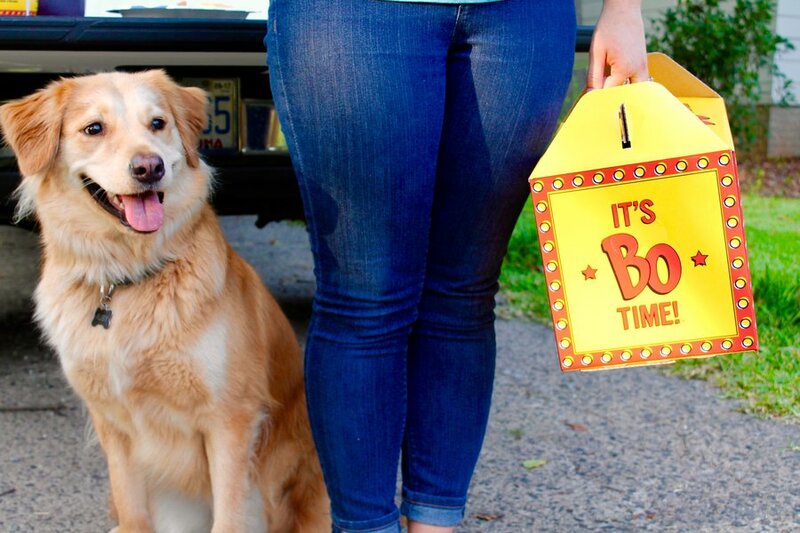 This paid content was co-created with Bojangles’.